The Center for Religion & Spirituality invites you to this public Yoga, Mindfulness and Social Change workshop with Dharma teacher and author Dr. Christiane Wolf. This workshop will give participants an introduction and overview of what Mindfulness and Mindfulness Based Stress Reduction (MBSR) are, it's background and most important research outcomes. We will then use one particular mindfulness class, the Mindfulness-Based Childbirth and Parenting (MBCP) class as an example of how mindfulness can foster societal change. There will be an overview of the MBCP curriculum, some research, as well as salient presentations from the class and lot of hands-on practice of formal mindfulness practices as well as practicing with physical pain (in labor and everyday life). Christiane Wolf, M.D., Ph.D. is a mindfulness teacher, trainer and speaker. She is a senior certified Mindfulness-Based Stress Reduction (MBSR) trainer and director of MBSR programs at InsightLA, program director and lead instructor for VA CALM, a MBSR and mindfulness training program for clinicians at the Greater Los Angeles Veteran’s Administration. 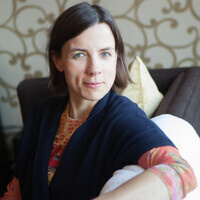 She is coauthor of A Clinician's Guide To Teaching Mindfulness.